I, Gloria Poole, residing in Missouri but born in state of Georgia, am putting five sketches of a variety of subjects that I drew painted signed photographed and uploaded since Friday 3 days ago, on this blog. See Updated copyright since 26-May-2014 on about me pg at top tab. 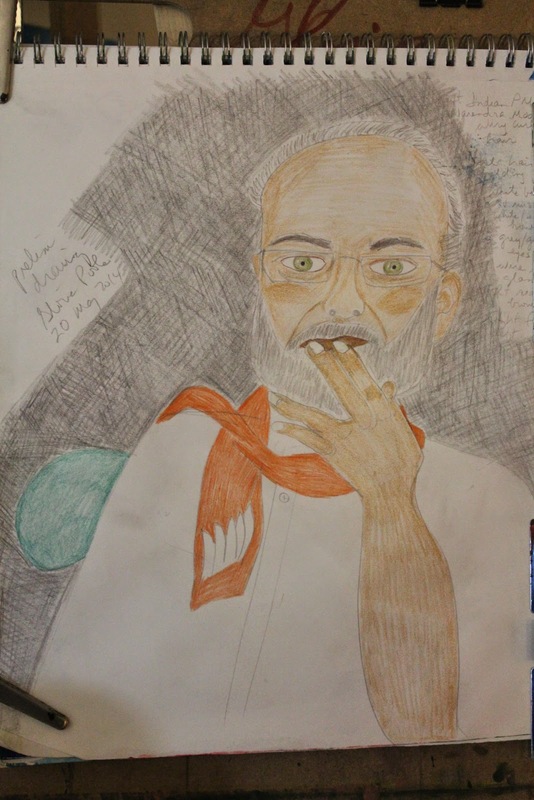 Preliminary drawing of India's new Prime Minister Modi; by Gloria Poole of Missouri. I will repaint this in acrylics in time and re-post it. I have to research the color of his eyes because it was not clear in the CCN breaking news photo I was drawing from. Scroll down three to see the repainted sketch that has jumped around several times as cyber-criminals breaking into my acct from remote tried to repostion it three times differently than where I posted it. 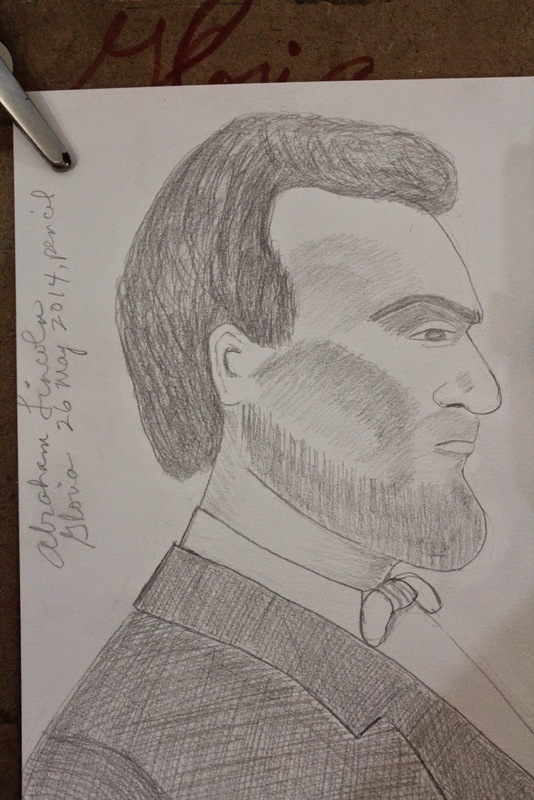 Pencil drawing of U S President Abraham Lincoln by Gloria Poole of Missouri, drawn from photo by civil war photographer Matthew Brady photo from 1865. 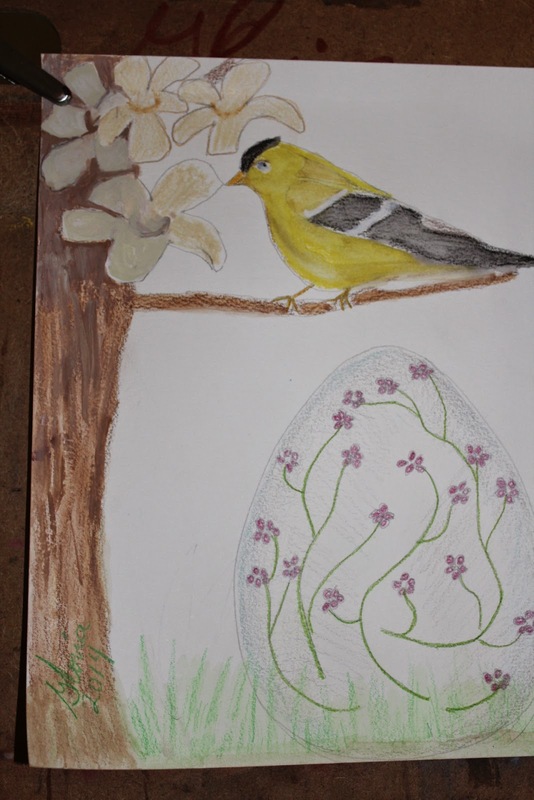 "Goldfinch and egg" by Gloria Poole of Missouri and Georgia, watercolors on paper 9 x 12. 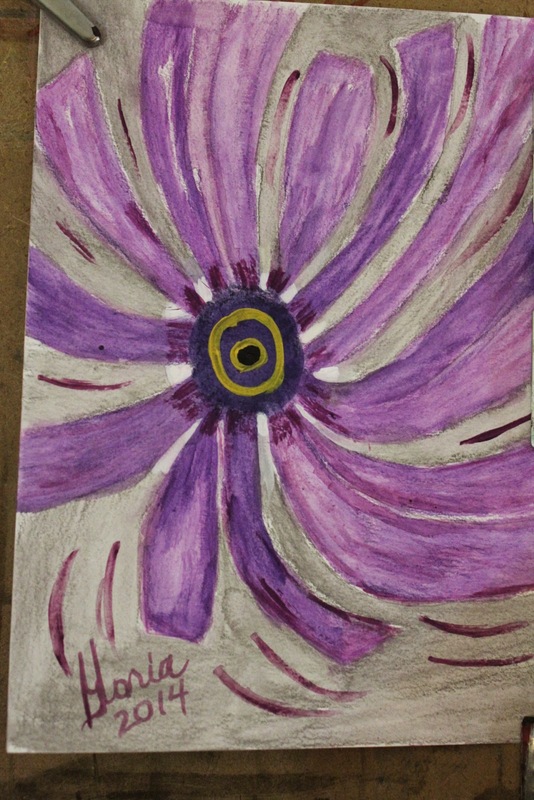 "Purple whirly abstract" by Gloria Poole of Missouri and Georgia; acrylics on paper 9 x12 inches. 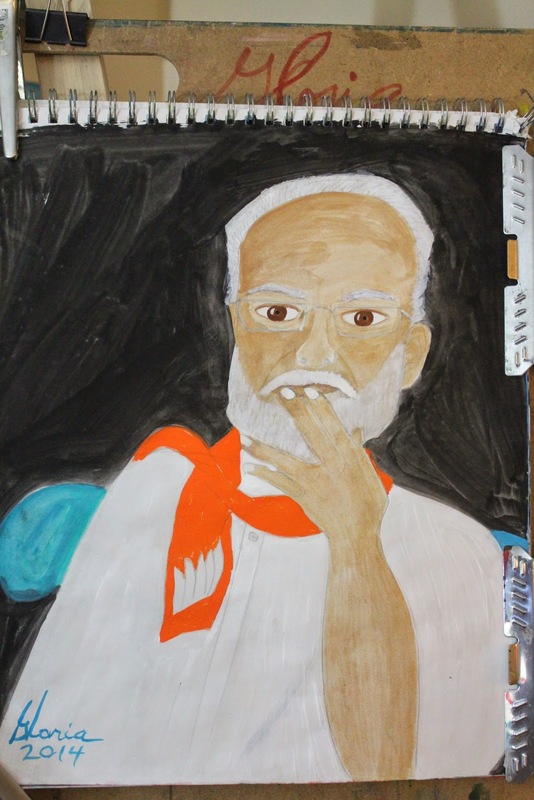 India's Prime Minister N. Modi repainted into acrylics by Gloria Poole of Missouri, on 30-May-2014. This is the sketch in photo two above that I drew and painted first in watercolors then repainted into acrylics. Also, you can see other sketches of Indians [from India ] that I drew painted and signed if you scroll through archives on this blog. 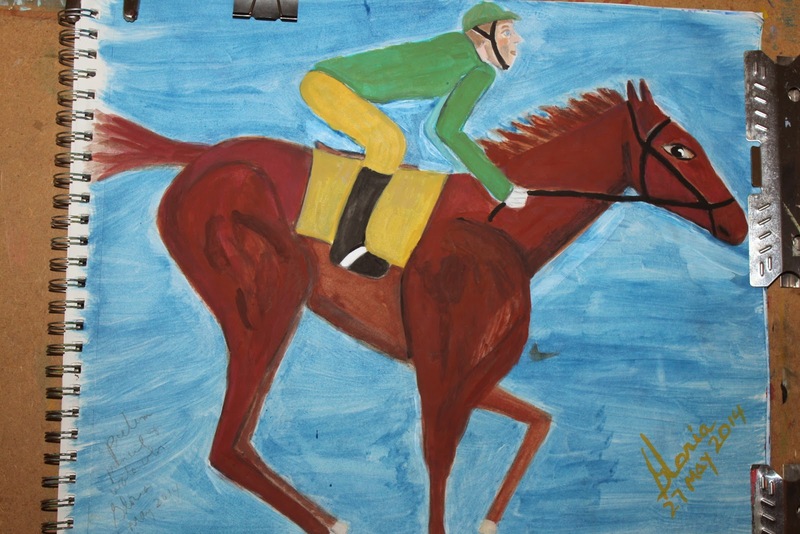 "Jockey standing on horse" by Gloria Poole of Missouri and Georgia; mixed media of acrylics and watercolors on 14 x 17 paper in my sketch book fastened to my portable drawing board. https://artist-gloriapoole.blogspot.com. Each is different so if you want to see all the art I post on web you would have to look at every site and blog I have created since 2002. However I have created art regularly since 1991 beginning in state of Georgia. I draw, paint, sign, photograph, upload the art I create to my own blogs for my own purposes. I am not an employee of anyone and I am not a "volunteer" for any one. I do what I do to glorify GOD [the prolife blogs] and to market my skills as artist to world, and to allow viewers who could not afford admission to museums to have avenues for viewing art and learning art methods and mediums. Gloria Poole / Gloria / gloria-poole / gloriapoole / gloria.poole / artist-gloriapoole / Ms Gloria Poole / Poole,Gloria / Gloria Poole, RN, artist / gloriapoole.RN / @gloriapoole / @gloria_poole / G-L-O-R-I-A / and other variations of my real, born with, legal name of Gloria Poole; at my own private apt in Missouri; 27 May 2014 at 3:21pm. 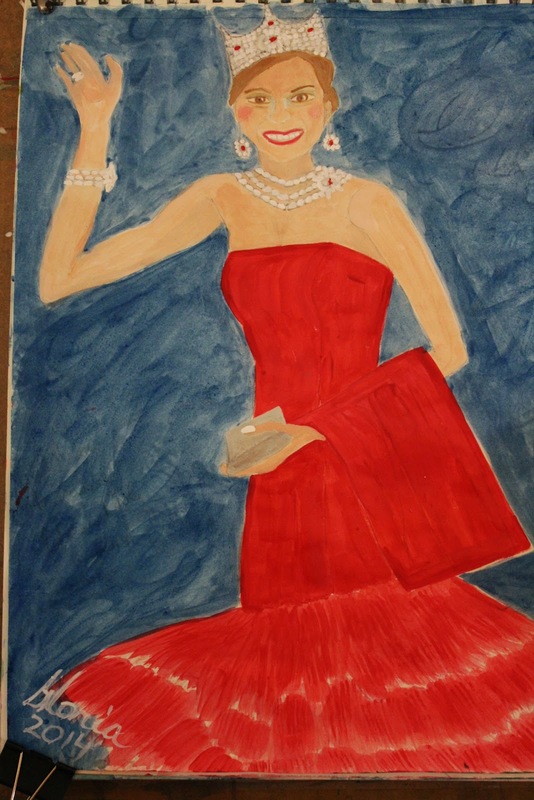 Updated by me Gloria Poole on 30 May 2014 to add repainted sketch of India's PM.